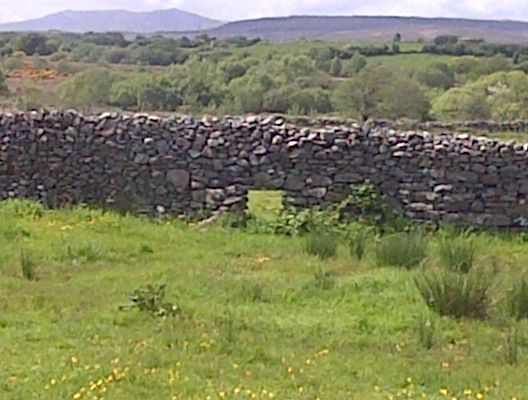 A sheep creep is a window-like opening in the wall at ground level with a lintel across the top. 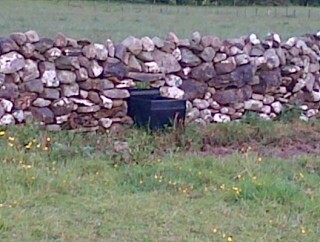 Because practicality is an essential element of Irish farming practices and because drystone walls must naturally be pierced by openings to allow for free and flexible movement of livestock, sheep creeps became common place. They allowed sheep and other smaller animals to move from field to field while keeping larger livestock such as cows and horses in a specific area. 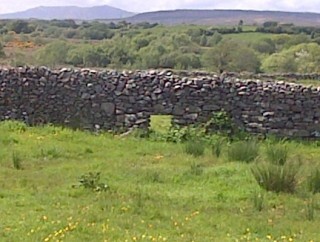 Though more modern openings might incorporate posts and gates, this square opening made in the lower part of a wall and filled in on top is the more traditional opening. Some were even made so that the upper layers of stone can be removed to create an opening large enough for cattle to pass through. These larger openings are, quite predictably, called cow-creeps. In the west of Ireland, farmers often used small creeps to wean lambs, by encouraging them to wander away from their mothers into nearby fields. And even smaller creeps could be used along with nets to trap wild animals like rabbits. Although sheep creeps are so common that they can be seen all over the Oughterard area unfortunately they are rarely in traditional use anymore, many being blocked up with stone and all but forgotten.